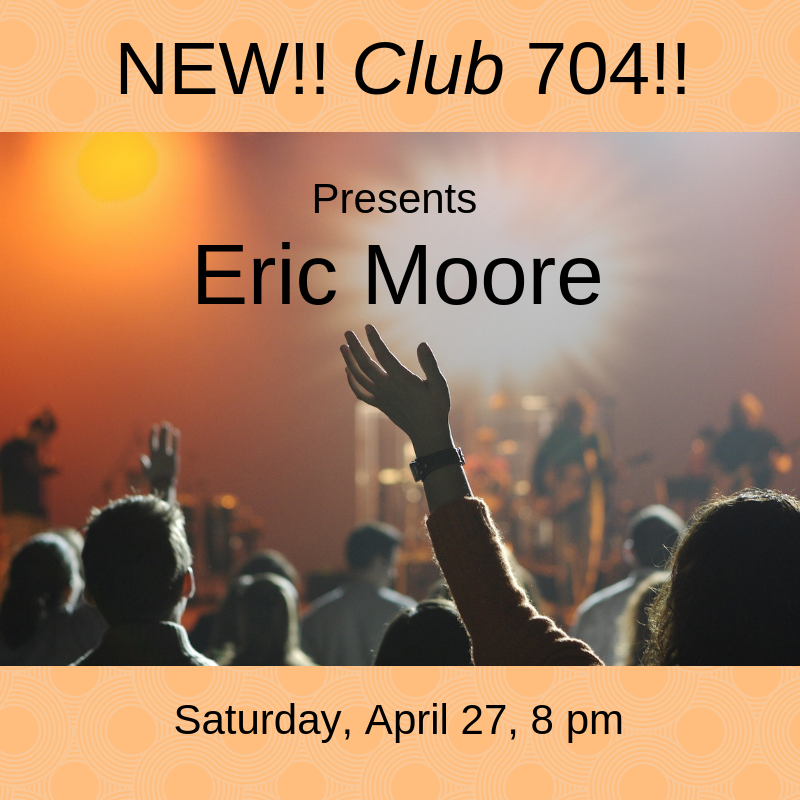 There are so many up-and-coming musicians in the Ann Arbor area -now Club 704 will give you a chance to hear them! A new addition to the Interfaith Center calendar, Club 704 will happen on the fourth Saturday of each month. 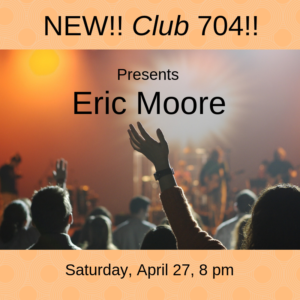 Keep coming to Cafe 704 too, on second Saturdays! Come to our first outing on April 27 at 8 pm (doors open at 7:30). Suggested donation is $8/person, $15/two. The Interfaith Center is an alcohol free venue. Beverages and snacks are available for a donation. Eric is a familiar face on the SE Michigan music scene. The Pittsburgh native has been a human jukebox in dive bars and a songsmith on festival stages. He takes his singing cues from blue-eyed soul masters like Van Morrison and John Martyn while pursuing songwriting inspired by the likes of Paul Simon and finger style guitar work in the vein of Leo Kottke and Bert Jansch.